The KKM hooks are the ultimate hair rigging hook. Based on the original Preston PR36 the KKM has taken them to a whole new level! 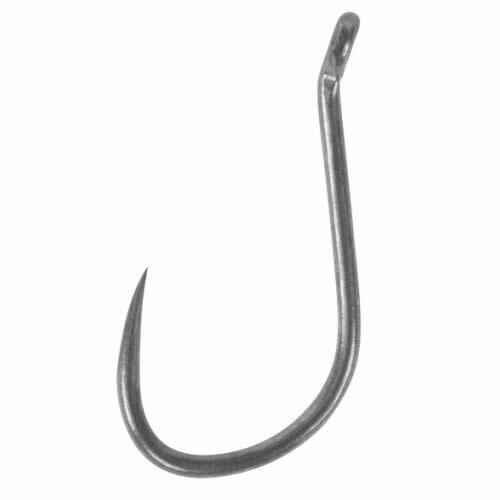 This hook has several advantages over standard barbless hook patterns. The Out turned eye is a stand out feature, this creates a unique angle which maximises hook hold and increases hooking capability. 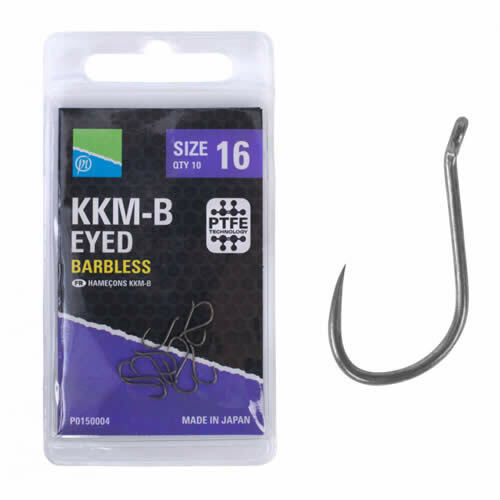 The KKM features a PTFE coating which improves the hooks durability and sharpness. This dull PTFE coating also decreases the hooks visibility and reduces the chance of fishing being spooked by shiny hooks. This hook is perfect for both feeder and waggler fishing and suited for a wide range of baits; pellets, meat, Band'Ums, corn, etc. Available in sizes; 10 right through to 20, covering an extensive range of fishing situations. So, whether you're targeting large carp, or small F1's the KKM has you covered.